We discovered the Cinch app and excited to share a Friday promo at the Trading Post. 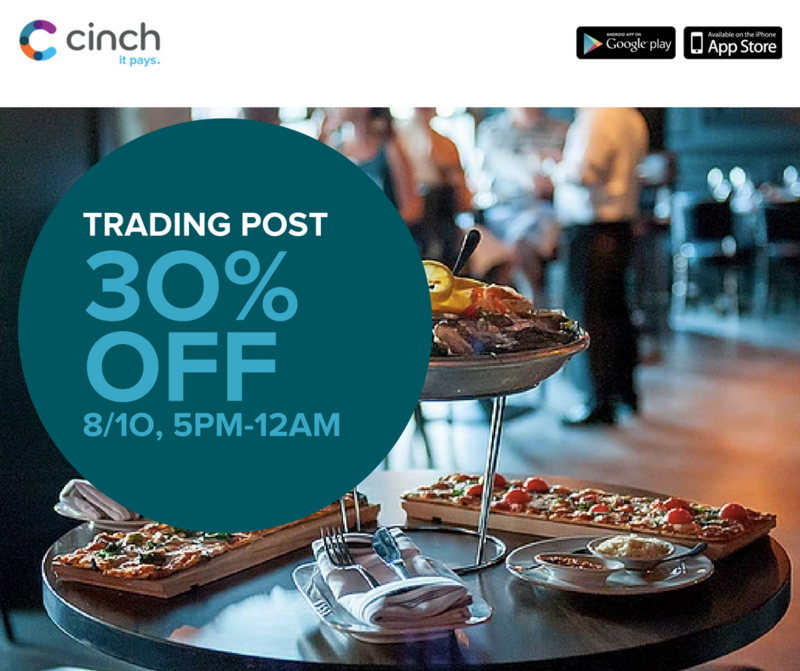 Simply download the Cinch app and stop by a FiDi favorite, the Trading Post for a 30% discount! Cinch is now in FiDi! …Join Us Tonight at Kesté! 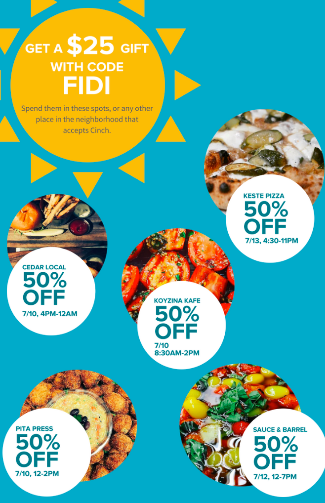 FiDi Families is excited to announce that Cinch is now in FiDi and we are sharing a code for you to get free dollars and great benefits for many downtown businesses. 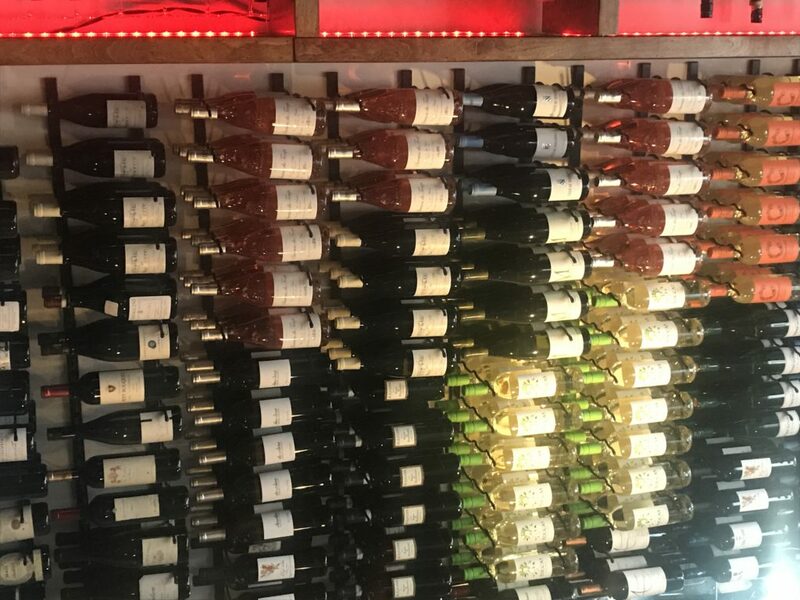 It’s great because it allows the neighborhood’s restaurants, bars, stores—you name it—to create dynamic deals for customers when they want to. And we, the consumers, reap the benefits by paying with Cinch’s digital wallet. You simply pay with the app and automatically receive a discount based on the offer provided by the business, located downtown. 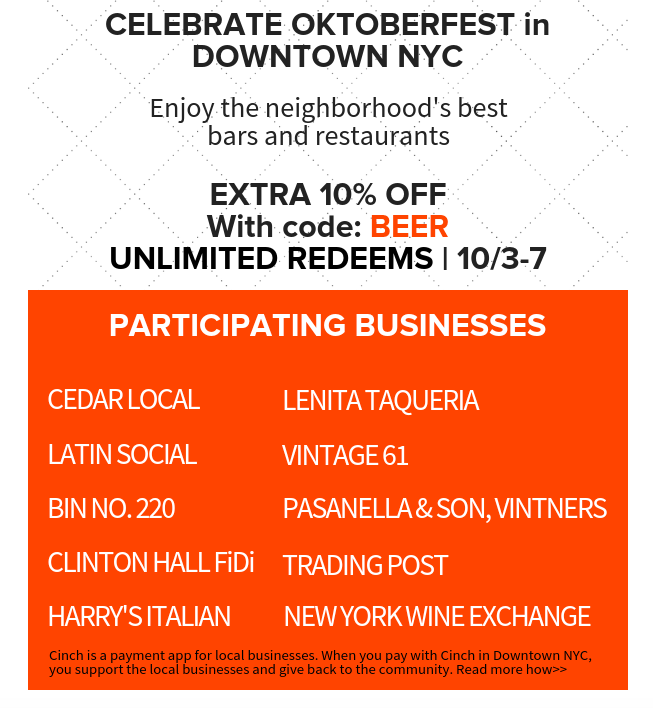 Download the app and use code FIDI. Because, when you use code FIDI, you will get 50% off (up to $25) on your first payment with the app. 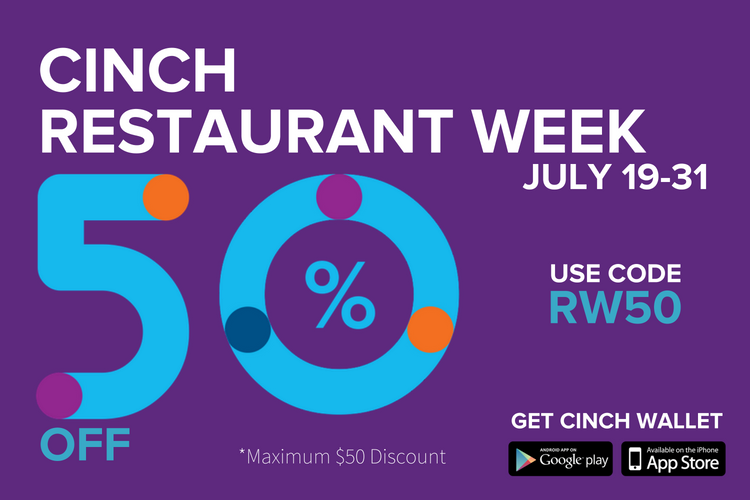 So whether a restaurant is having a slow Tuesday night and wants to offer 50% off or a Pilates studio is looking to entice new students and creates an awesome special, there are a million reasons to download and pay with Cinch. Stay tuned for launch events in the coming weeks by following Cinch and FiDi Families on Instagram and find out where you can get up to 50% off, by visiting the site HERE. Use code FIDI and get 50% off (up to $25) on your first payment with the app.